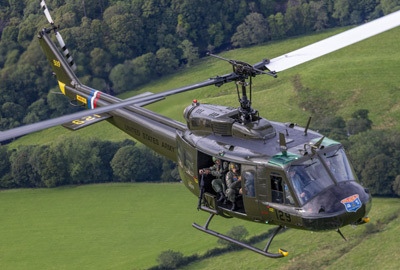 45 minutes airborne in our genuine Vietnam-veteran Huey Helicopter: hear the sound of the powerful Lycoming engine and enjoy the experience of a lifetime! A certificate signed by the crew. The opportunity to take photographs of the Huey Helicopter. Come and have the experience of a lifetime. Please Note: You will need to allow 4 hours for the whole Huey Flight Experience. For all other questions click here.